ENSENADA, Baja California, Mexico—Following yet another impressive international race victory, Off-Road Motorsports Hall of Famer Rob MacCachren of Las Vegas continues as the overall and SCORE Trophy Truck leader in the season point standings after Round 2 of the four-race 2018 SCORE World Desert Championship. Increasing his overall lead in career SCORE Trophy Truck race wins to 17, the masterful MacCachren opened the 2018 campaign by winning both the 32nd SCORE San Felipe 250 and backed that up by winning the recent 50th BFGoodrich Tires SCORE Baja 500. MacCachren, 53, overcame a race-record 36 starters in San Felipe and 33 more starters in the SCORE Baja 500 in the class for high-tech, 950 horsepower unlimited custom trucks for the victories in his race-proven No. 11 Rockstar MacCachren Motorsports Ford F-150 SCORE Trophy Truck built by Geiser Bros. of Phoenix. In the 45th-year in the history of the World’s Foremost Desert Racing Organization, MacCachren has now earned 211 season points with his two opening race wins to lead the 2018 SCORE Overall point standings in addition to topping the chart in the marquee SCORE Trophy Truck division. The featured SCORE Trophy Truck division is celebrating its 25th season of competition since former SCORE owner Sal Fish introduced the unique class to the motorsports world in 1994. While MacCachren is at the top of the SCORE leader board, second in overall points and leading the Pro UTV FI (Forced Induction) class after his second straight victory 2018 SCORE win in Ensenada is veteran Wayne Matlock, 40, of Alpine, Calif., with 202 points in his No. 2971 Polaris RZR XP4 Turbo vehicle. Third overall and second in SCORE Trophy Truck standings after his third-place finish in San Felipe and second in Ensenada with 195 points in the No. 83 Mark Racing Racer-built Ford F-150 is San Diego’s Luke McMillin, 25. Lining up behind Rob MacCachren and Luke McMillin in the point standings in the featured SCORE Trophy Truck division are more of the world’s top desert racers. Three of the top five point leaders in SCORE Trophy Truck after two 2018 races are three third-generation racers from San Diego’s McMillin family racing. While Luke McMillin is second in SCORE Trophy Truck and third in overall points, fourth in SCORE Trophy Truck and tied for sixth overall is Luke’s cousin Andy McMillin, 30, with 183 points in his No. 31 McMillin Racing Mason-built Chevy Silverado and fifth in SCORE Trophy Truck and seventh overall is Luke’s older brother Dan, 30, who has 182 points in his No. 23 Mark Racing Racer-built Ford F-150. Third in SCORE Trophy Truck points and fifth in the overall point standings with 186 points is Ryan Arciero, 44, of Lake Forest, Calif., in the No. 32 Herbst/Smith-built Ford F-150. Sixth in SCORE Trophy Truck points and tied for ninth in overall points is TV action sports commentator and veteran desert racer Cameron Steele, 50 of San Clemente, Calif. Steele has175 points in his No. 16 Desert Assassins Monster Energy Geiser-built Chevy Silverado. Brothers Alan Ampudia, 27 and Aaron Ampudia, 25, of Ensenada, Mexico, are seventh in SCORE Trophy Trucks and 13th overall with 172 points in their No. 10 Papa’s Y Beer ID-built Ford Raptor. Las Vegas brothers Tim Herbst and Ed Herbst are eighth in SCORE Trophy Truck points and tied for 14th in overall points with 171 in their No. 19 Monster Energy Terrible Herbst Motorsports Ford F-150, built by Herbst/Smith. Ninth in SCORE Trophy Truck points is the team of Chris Miller, La Jolla, Calif./Jimmy Nuckles, Brawley, Calif. with 166 points. Currently 10th in SCORE Trophy Truck points with 164 is three-time defending SCORE Trophy Truck season point champion Carlos ‘Apdaly’ Lopez, 23 of Tecate, Mexico, in the No. 1 RPM Racing Geiser-built Chevy Rally Truck. Including Rob MacCachren in SCORE Trophy Truck and Wayne Matlock in Pro UTV FI, a total of seven classes have at least one racer in the top 20 SCORE Overall 4-wheel point standings after Round 2 in the 2018 SCORE World Desert Championship. The classes in the top 20 point standings are SCORE Trophy Truck (8 racers), Pro UTV FI (3), Trophy Truck Spec (3), Class 10 (2), Class 1/2-1600 (2) along with one each class point leader in the unlimited Class 1 and Pro UTV. Besides SCORE Trophy Truck and Pro UTV FI, other 2018 class point leaders also in the top 20 in the 2018 SCORE Overall points are Broc Dickerson, Brawley, Calif., 16th overall and Class 10 leader in the No. 1023 Alumi Craft-Chevy with 170 points, Bryce Swaim, El Cajon, Calif. who is fourth overall and Trophy Truck Spec class leader with 187 points in the No. 42 TSCO-Chevy, Justin Davis, Chino Hills, Calif., who is tied for ninth overall and leads the unlimited Class 1 with 175 points in his No. 185 Jimco-Chevy, third-generation racer Bruce Yee, Chula Vista, Calif. who is tied for 17th overall and co-leads Class 1/2-1600 in the No. 1614 Barajas-VW with 167 points as does Oscar Alvarez, McAllen, Texas in the No. 1603 Romo-VW and Kristen Matlock, Alpine, Calif. who leads the Pro UTV class and is tied for 14th overall with 171 points in her No. 1954 Polaris XP4 1000. The 2018 SCORE Overall Motorcycle and Pro Moto Ironman class point leader after the first two rounds is Mexican motorcycle racing legend Francisco Septien, 42, of Ensenada with 169 points as he has won both races this year in the solo rider class on his No. 730x Honda CRF450X. Two Pro classes have tied co-leaders after Round 2 of the 2018 SCORE World Desert Championship. The two classes are Class 1/2-1600 and Pro Quad. Each with one win and one third place finish, tied with 167 points each to co-lead Class 1/2-1600 third generation desert racer Bruce Yee of Chula Vista, Calif. who leads a team in a Barajas-VW and Oscar Alvarez, McAllen, Texas who leads a team in a Romo-VW. The pair are also tied for 17th in the SCORE Overall point standings. With one win and one second-place finish each tied for first with 154 points and both riding on Honda TRX450R quads are teams led by Juan Sanchez, Chula Vista, Calif. and Said Sanchez, Tijuana, Mexico. Sanchez was the Pro Quad season point champion in 2017. Led by MacCachren, Davis, K. Matlock and Septien a total of 11 racers have won their class in each of the two grueling races held so far in 2l018. And both were run over race-record long courses for each event. Besides Septien, the other motorcycle class winners who are undefeated in 2018 with identical 2-0 records, the other four Pro moto racers who are undefeated so far this year are teams led by Justin Morgan, El Cajon, Calif. (Pro Moto Unlimited, No. 7x Honda CRF450X; Jano Montoya, Winter Garden, Fla. (Peru), (Pro Moto 40, No. 400x KTM 450EXCF, Giovanni Spinaly, El Cajon, Calif. (Pro Moto 50, No. 510x Yamaha YZ450FX) and Guy Laycraft, Canada (Pro Moto 60, No. 649x Honda CRF450X. Following her second straight solo drive to victory in 2018, Kristen Matlock, joins her husband Wayne as a class point leader. Leading the Pro UTV NA (Normally Aspirated) class, Kristen Matlock in her No. 1954 Polaris RZR XP 1000 has earned 171 season points. In the recent SCORE Baja 500 Kristen Matlock had the fastest overall time of all 53 Pro UTVs that started the race. International motorcycle rally racer Santiago Creel, 31 of Mexico City, was rider of record on four KTM motorcycles, an all-time SCORE record for a single race in San Felipe. He upped his record by one in the SCORE Baja 500 as an additional driver in the Trophy Truck Spec class. Using a host of talented teammates from Italy, Mexico and the U.S.A., Creel leads the Pro Moto Limited class, is second in Pro Moto 30 and third and fifth in Pro Moto Unlimited after the first two 2018 races. Creel, in just his sophomore season racing with SCORE, was the Pro Moto Limited class point champion in 2017. The vehicle in the Trophy Truck Spec class where he was an additional driver in Ensenada, was a did-not-finish in its first race. Among the other SCORE class point leaders after two rounds of the 2018 SCORE World Desert Championship in Pro car/truck/UTV classes are Gustavo Vildosola Sr, Mexicali, Mexico/Scott Bailey, Riverside, Calif., who lead the SCORE TT Legend class in the No. 12L Ford Raptor-ID, Luis Barragan, Mexicali, Mexico (SCORE Lites, No. 1210 Seagrove-VW, 1 race win), Carlos Diaz, Calexico, Calif. (Class 7, No. 711 Ford Raptor), Dennis Hollenbeck, Ensenada, Mexico (Class 11, No. 1100 VW Sedan), and Cesar Iniguez, Mexicali, Mexico (Class 5-1600, No. 553 VW Baja Bug). Other rider of record class point leader in Pro motorcycle and quad classes is Ryan Liegelt,Reedley, Calif. (Pro Moto 30, No. 300x Yamaha WR450F). The 2018 Sportsman motorcycle point co-leaders with 175 points each so far are the team led by Shane Schorno, Discovery Bay, Calif. (SPT M/C, No. 284x KTM 500EXCF) and the team led by Rolando Cabrera, Ramona, Calif. (SPT M/C, No. 238x Honda CRF450X. Leading the Sportsman Quad division after two races with 163 points is the team led by Danny Magdalena, Acton, Calif., on the No. 110a Honda TRX450R. SCORE TROPHY TRUCK—1. 11 Rob MacCachren, Las Vegas, Ford F-150 (Builder-Geiser) (2), 211; 2. 83 Luke McMillin, San Diego, Ford F-150 (Racer), 195; 3. 32 Ryan Arciero, Lake Forest, Calif., Ford F-150 (Herbst-Smith), 186; 4. 31 Andy McMillin, San Diego, Chevy Silverado (Mason), 183; 5. 23 Dan McMillin, La Mesa, Calif., Ford F-150 (Racer), 182; 6. 16 Cameron Steele, San Clemente, Calif., Chevy Silverado (Geiser), 175; 7. Alan Ampudia, Ensenada, Mexico/Aaron Ampudia, Ensenada, Mexico, Ford Raptor (ID), 172; 8. 19 Tim Herbst, Las Vegas, Ford F-150 (Herbst-Smith), 171; 9. 40 Chris Miller, LaJolla, Calif./Jimmy Nuckles, Brawley, Calif., Toyota Tundra (ID), 83; 166. 10. (TIE) 1 Carlos ‘Apdaly’ Lopez, Tecate, Mexico, Chevy Rally Truck (Geiser) and Billy Wilson, Corpus Christi, Texas, Ford Raptor (Jimco), 164; 12. 26 Dave Taylor, Page, Ariz., Ford F-150 (Geiser), 163; 13. 77 Robby Gordon, Charlottee, N.C., Chevy Silverado (Custom), 162; 14. 85 Mike Lawrence, Banning, Calif., Banning, Calif., Ford F-150 (Herbst-Smith); 161; 15. 30 Robbie Pierce, Santee, Calif., Chevy Silverado (Jimco), 158; 16. Gary Magness, Denver, Ford F-150 (Custom), 154; 17. B.J. Baldwin, Las Vegas, Toyota Tundra (ID), 151; 18. Troy Herbst, Las Vegas, Ford F-150 (Herbst-Smith), 116; 19. Bryce Menzies, Las Vegas, Ford Raptor (Geiser), 113. SCORE TT LEGEND—1. 12L Gus Vildosola Sr, Mexicali, Mexico/Scott Bailey, Riverside, Calif., Ford Raptor (ID) (1), 154; 2. 72L Rob Reinertson, Woodside, Calif., 104; 3. 5L Clyde Stacy, Bristol, Va./Armin Schwarz, Austria (Germany), Chevy Rally Truck (Geiser), 90; 4. 79L Jeff Buehler, Liberty, Mo., Ford Raptor (Jimco) (1), 75. CLASS 1— 1. 185 Justin Davis, Chino Hills, Calif., Jimco-Chevy (2), 175; 2. 153 Brad Wilson, Long Beach, Calif./Justin Munyon, San Clemente, Calif., Jimco-Chevy, 159; 3. 129 Brandon Bailey, Riverside, Calif./Larry Job, Las Vegas, Custom-Chevy, 143; 4. 106 Derek Fletcher, Abingdon, Va./Christyan Samano, Ensenada, Mexico, Tatum-Chevy, 142; 5. (TIE) 100 Brian Wilson, Lakewood, Calif./Kyle Quinn, Lakewood, Calif., Jimco-Chevy and Morgan Langley, Manhattan Beach, Calif./Paul Keller, LaJolla, Calif., ESM-Chevy, 107; 7. 155 Brad Vicic, Littleton, Colo., Racer-Chevy, 100; 8. 168 Shelby Reid, Apple Valley, Calif./Danny Ebberts, Menifee, Calif., Jefferies-Chevy, 98; 9. Tony Murray, Villa Park, Calif./Kyle Murray, Scottsdale, Ariz., Jimco-Chevy, 76. TROPHY TRUCK SPEC—1. 242 Bryce Swaim, El Cajon, Calif./Austin Jones, Litchfield Park, Ariz., TSCO-Chevy (1), 187; 2. 295 William Hedrick Jr, Vicente Guerrero, Mexico, ID-Chevy (1), 177; 3. 200 Elias Hanna, Ensenada, Mexico, Chevy Silverado, 167; 4. 225 Brian Trotter, Hardtner, Kansas, Mason-Chevy, 157; 5. 204 Sara Price, Lake Elsinore, Calif., Geiser-Chevy, 156; 6. 266 Scott Biernot, Hermosa Beach, Calif., Geiser-Chevy, 153; 7. 276 Gerardo Iribe, Miami (Rosarito Beach, Mexico), Curry-Chevy, 152; 8. 252 Gonzalo Pirron, Jefferies-Chevy, 151; 9. 211 Pat Sims, Eunice, N.M., ESM-Chevy, 120; 10. 273 Jordan Brenthel, Temecula, Calif., Brenthel-Chevy, 113; 11. 258 Chasen Gaunt, Torrance, Calif., Geiser-Chevy, 111; 12. 251 Rafael Navarro IV, Temecula, Calif./Rafael Navarro III, Temecula, Calif., Ford Raptor, 108; 13. 277 Rod Lewis, San Antonio, Texas, Jimco-Chevy, 99; 14. 250 John Langley, Santa Monica, Calif./Steve Hengeveld, Flagstaff, Ariz., Mason-Chevy, 98. CLASS 10—1. 1023 Broc Dickerson, Brawley, Calif., Alumi Craft-Chevy (1), 170; 2. 1036 Corey Goin, Clovis, Calif./Damen Jefferies, Apple Valley, Calif., Alumi Craft-Chevy, 167; 3. 1011 Cesar Cuevas, Chula Vista, Calif., Alumi Craft-Chevy, 163; 4. 1049 Ty Godde, Palmdale, Calif./Steve Hext, Lancaster, Calif., Eversen-Chevy, 158; 5. 1081 Todd Winslow, Clovis, Calif./Matt Winslow, Clovis, Calif., Alumi Craft-Chevy, 157; 6. 1048 Kevin Price, Fremont, Calif., Tatum-Chevy, 151; 7. 1013 Harley Meservey, Coos Bay, Ore., Fusion-Chevy, 150; 8. (TIE) Ruben Torres, San Luis Potosi, Mexico/Gabriel Torres, San Luis Pososi, Mexico, Alumi-Craft-Chevy and 1008 Chase Warren, Phoenix, Alumi Craft-Chevy (1), 119; 10. 1002 Clay Lawrence, Banning, Calif./Ray Griffity, Downey, Calif., LMS-Chevy, 110; 11. 1068 Cody Reid, Apple Valley, Calif./Adam Pfankuch, Carlsbad, Calif., Alumi Craft-Chevy, 109; 12. Hiram Duran, Tecate, Mexico/Evan Duran, Tecate, Mexico/Eric Duran, Tecate, Mexico/Eric Fernando Duran, San Diego, Jimco-Chevy, 107; 13. 1062 J.J. Schnarr, Reno, Nev./Roberto Romo, Mexicali, Mexico, Alumi Craft-Chevy, 103; 14. 1078 Augie Cortez Jr, Downey, Calif., Wicked-Chevy, 102; 15. (TIE) 1031 Brent Peterson, El Centro, Calif./Caleb Gaddis, El Centro, Calif., Alumi Craft-Chevy and 1066 Dave Mason Jr, Valley Center, Alumi Craft-Chevy, 98. HAMMER TRUCK UNLIMITED—1. Casey Currie, Norco, Calif./Cody Currie, Orange, Calif., Jeep Wrangler (1), 85. CLASS 8—1. 894 Vincent Munoz, Yucaipa, Calif., Ford Ranger (2), 161; 2. 809 Eduardo Ramirez, Tecate, Mexico, Chevy Silverado, 99. CLASS 1/2-1600—1. (TIE) 1603 Oscar Alvarez, McAllen, Texas/Ramon Bio, Ensenada, Mexico/Cisco Bio, Spring Valley, Calif., Romo-VW (1) and 1614 Bruce Yee, Chula Vista, Calif./Angel Barajas, Ensenada, Mexico, Barajas-VW (1), 167; 3. 1678 Gustavo Avina, Ensenada, Mexico, Dethomas-VW, 165; 4.Eric Pavolka, Sonoita, Ariz./David Ramsze, Tucson, Ariz./Shane Pavolka, Sonoita, Ariz./Andrew Pavaolka, Phoenix, Foddrill-VW, 106; 5. J. David Ruvalcaba, Ensenada, Mexico/Rogelio Pando, Ensenada, Mexico/Esteban Cruz, Ensenada, Mexico/Alberto Cruz, Ensenada, Mexico, SELDS-VW, 105. SCORE LITES—1.1210 Luis Barragan, Mexicali, Mexico, Seagrove-VW (1), 164; 2. 1258 Jeremy Davis, Chino Hills, Calif., Porter-VW, 154; 3. 1240 Miguel Bonilla, Hermosilla, Mexico, Jimco-VW, 152; 4. 1218 Gustavo Pinuelas Jr, Mexicali, Mexico/Cesar Castillo, Mexicali, Mexico/Sergio Salgado, Mexicali, Mexico/Joel Serna, Mexicali, Mexico, Jimco-VW (1), 100; 5. 1236 Guillermo Arteaga, Chula Vista, Calif., Chenowth-VW, 96. CLASS 7—1. 711 Carlos Diaz, Calexico, Calif., Ford Raptor, 145; 2. 700 Dan Chamlee, Montecito, Calif., Ford Ranger, 142; 3. 717 Mike Perez, Houston, Chevy Silverado, 91; 4. 709 Jeff Proctor, Glendora, Calif./Pat Dailey, Vista, Calif., Honda Ridgeline (1), 85; 5. 721 Michael Coleman, La Jolla, Calif., Ford Raptor (1), 76. CLASS 7F—1. 701F Brandon Walsh, Encinitas, Calif., Toyota Tundra, 55. CLASS 5—1. 501 Mark McNeil, El Cajon, Calif./Perry McNeil, San Diego, VW Baja Bug (2), 161; 2. 524 Ben Swift, Newport Beach, Calif./Pete Swift, Newport Beach, Calif., JFW-Chevy, 145; 3. 527 Dustin Grabowski, Alta Loma, Calif./Parker Grabowski, Upland, Calif./Neal Grabowski, Upland, Calif., Custom-Subaru, 80. PRO UTV FI—1. 2971 Wayne Matlock, Alpine, Calif., Polaris RZR XP4 Turbo (1), 202; 2. 2912 Tony Riggs, Newhall, Calif., Polaris RZR, 175; 3. 2900 Marc Burnett, Lakeside, Calif./Tim Orchard, Riverside, Calif., Can-Am Maverick X3, 174; 4. 2919 Brandon Schueler, Phoenix/Pat Stone, Phoenix, Polaris RZR XP4 Turbo, 170; 5. 2940 Erick Kozin, Yorba Linda, Can-Am X3, 165; 6. 2916 Cody Rahders, Alpine, Calif., Polaris RZR XP4 Turbo, 164; 7. 2910 Scott Trafton, Alpine, Calif., Polaris RZR Turbo, 162; 8. 2978 Luis Fortanel, Mexicali, Mexico, Can-Am Maverick X3, 161; 9. 2946 Jose Juarez, Chula Vista, Calif., Polaris RZR XP1000 Turbo, 160; 10. 2904 Cory Sappington, Peoria, Ariz., Can-Am Maverick X3, 117; 11. (TIE) Branden Sims, Prescott Valley, Ariz., Polaris RZR XP Turbo (1) and 2949 Alonso Lopez, Murrieta, Calif., Polaris RZR XP1000 Turbo, 115. PRO UTV—1. 1954 Kristen Matlock, Alpine, Calif., Polaris RZR XP4 1000 (2), 171; 2. 1995 Kaden Wells, St. George, Utah/Travis Wells, St. George, Utah, Polaris RZR, 151; 3. 1955 Paul Champion, Phoenix, Polaris RZR XP1000, 149; 4. 1962 Dodge Poelman, Orem, Utah, Polaris XP1000, 87. PRO UTV UNLTD—1. 1872 Jesus Mendez Jr, Mexicali, Mexico, Can-Am Maverick X3 XRS (2), 160. CLASS 5-1600—1. 553 Cesar Iniguez, Mexicali, Mexico, VW Baja Bug (1), 106; 2. 577 Luis Herrera, Granada Hills, Calif./Ernie Negrete, Chula Vista, Calif, VW Baja Bug, 100; 3. 557 Mario Ledezma, Ramona, Calif., VW Baja Bug, 96; 4. 562 David Heredia, Hacienda Heights, Calif., VW Baja Bug (1), 91. BAJA-e—1. Raul Rodriguez, Jr, Ensenada, Mexico/Raul Rodriguez, Ensenada, Raceco-Yasa, 30. CLASS 7SX—1. 740 Gerardo Novelo O., Ensenada, Mexico, Ford Ranger, 55. CLASS 11—1. 1100 Dennis Hollenbeck, Ensenada, Mexico, VW Sedan, 99; 2. Viry Felix, Ensenada, Mexico/Cisco Bio, Spring Valley, Calif./Ramon Bio, Spring Valley, Calif./Pancho Bio, Spring Valley, Calif. (1), 92; 3. 1156 Art Penner, Lynden, Wash. (Canada), VW Sedan (1), 75. SPT BUGGY—1. Juan Naranjo, Rowland Heights, Calif., Custom-VW (1), 85. SPT UTV UNLTD—1. Jessalyn Farrington, Ketchum, Idaho/Scott Sells, Sun Valley, Idaho, Polaris RZR XP4 (1), 85. SPT UTV STOCK FI—1. Brad Lovell, Colorado Springs, Colo./Roger Lovell, Colorado Springs, Colo., Polaris RZR (1), 85. SPT STOCK UTV NA—1. 3975 Torey Rush, Gillette, Wyo., Yamaha YXZ1000 (2), 160. PRO MOTO UNLIMITED—1. 7x Justin Morgan, El Cajon, Calif./Mark Samuels, Yucca Valley, Calif./Justin Jones, Murrieta, Calif., Honda CRF450X (2), 168; 2. 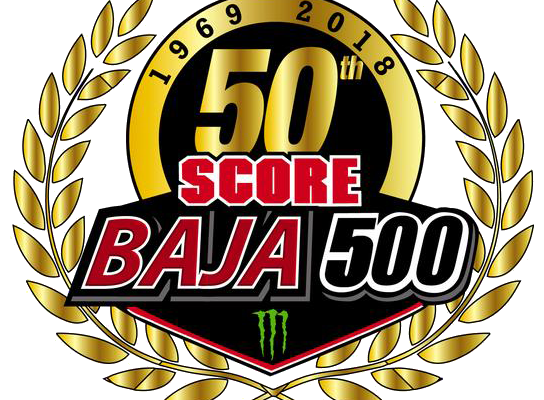 (TIE) 66x Santiago Creel, Mexico City, Mexico/Brandon Prieto, Ensenada, Mexico/Ivan Ramirez, Ensenada, Mexico/Massimo Mangini, Italy/Eric Yorba, Rosarito Beach, Mexico, KTM 450EXCF and1x Shane Esposito, Temecula, Calif./Max Eddy Jr, Barstow, Calif./Tyler Lynn, Utah, Honda CRF450X, 149; 4. 3x Garrett Poucher, Valencia, Calif./Michael Valenzuela, Tijuana, Mexico/Skyler Howes, Utah, Honda CRF450X, 142; 5. 4x Santiago Creel, Mexico City, Mexico/Mark Winkelman, Cedar Hill, Texas/Austin Meyers, Austin, Texas/Braxton Gallian, Cave Creek, Ariz./Ray Dal Soglio, Scottsdale, Ariz./Troy Vanscourt, El Cajon, Calif., KTM 450EXC, 99. PRO MOTO LIMITED—100x Santiago Creel, Mexico City, Mexico/Alberto Heredia, Ensenada, Mexico/Larry Serna, Tijuana, Mexico/Ricardo de la Pena, Los Angeles/Austin Miller, Austin, Texas/Raul Hernandez, Tijuana, Mexico/Alvaro Miller, Monterrey, Mexico, KTM 350XCF (1), 155; 2. 151x Juan Lopez, San Diego/Edgar Cota, Chula Vista, Calif./Julio Ramirez, San Diego/Adrian Valdez, Tijuana, Mexico/Jake Lindquist, San Diego/Adrian Hernandez, San Diego, KTM 350CXCF, 99; 3. 121x Ana Rivas, Mexicali, Mexico/Ricardo Reyes, Mexicali, Mexico/Brandon Banuelos, Mexicali, Mexico/Jhoun Sanchez, Mexicali, Mexico/Christian Sanchez, Mexicali, Mexico/Jorge Rivas, Mexicali, Mexico, KTM 250EXC-W, 95; 4. Philip Jaramillo, Tijuana, Mexico/Sergio Garza, Tecate, Mexico/Jorge Ramirez, Ensenada, Mexico/Arturo Salas, Chula Vista, Calif., KTM 350XCF (1), 86. PRO MOTO 30—1. 300x Ryan Liebelt, Reedley, Calif./Greg Bardonnex, Visalia, Calif./Andrew Puckett, Bakersfield, Calif./Justin Schultz, Lake Forest, Calif., Yamaha WR450F, 71 (1), 161; 2. 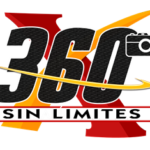 360x Santiago Creel, Mexico City, Mexico/Kevin Murphy, Camarillo, Calif./Abel Burgeno, Mazatlan, Mexico/Jim O’Neal, Simi Valley, Calif./Enrique Fuhrken, Mexico City, Mexico/Gerardo Rojas, San Quintin, Mexico, KTM EXCF500 (1), 157; 3. 333x Chad Thornton, Farmington, N.M./Dennis Belingheri, Reno, Nev./Jason Trubey, Henderson, Nev./Steve Tichnor, Reno, Nev./Paul Luce, Albuequerque, N.M., KTM XCF450, 148; 4. 303x Luis Gomez, Obregon, Mexico/Joaquin Montero/Manuel Ochoa/Edgar Espinoza/Jorge Tamaura, Honda CRF450X, 144; 5. Chris Racan, Cardiff by the Sea, Calif./Michael Garber, San Diego/Steve Willenberg, Lakeside, Calif./Steve Grieb, San Diego, Honda CRF450X, 135. PRO MOTO 40—1. 400x Jano Montoya, Winter Garden, Fla. (Peru)/Alberto Ruiz, Ensenada, Mexico/Jeff Kawell, Riverside, Calif./Sergio Vega, Ensenada, Mexico, KTM 450EXCF (2), 160; 2. 427x Salvador Sainz, Chula Vista, Calif.(Tijuana, Mexico)/Oscar Garcia, Tijuana, Mexico/Jose Gonzalez, Rosarito Beach, Mexico/Carlos Valdoz, Chula Vista, Calif./Oscar Fazz, Vista, Calif./Juan Moreno, Tijuana, Mexico, KTM 450XCW, 144. PRO MOTO 50—1. 510x Giovanni Spinali, El Cajon, Calif./Earl Roberts, Mexicali, Mexico/Troy Pearce, Ramona, Calif./John Griffin, Lake Forest, Calif., Yamaha YZ450FX (2), 160. PRO MOTO IRONMAN—1. 730x Francisco Septien, Ensenada, Mexico, Honda CRF450X (2),169; 2. 706x Kevin Daniels, Bishop, Calif., Honda CRF450X, 153; 3. 714x Lawrence Janesky, Seymour, Conn., Honda CRF450X, 137; 4. Tanner Janesky, Middlebury, Conn., Honda CRF450X, 137; 5. Jose Carrasco, Rosarito Beach, Mexico, Suzuki RMX450Z, 106; ALSO: 9. 722x Liz Karcz, Albuquerque, N.M. (New Jersey), Honda CRF450X, 66. PRO MOTO 60—1. 649x Guy Laycraft, Canada/Doug Smith, Upland, Calif./Craig Adams, San Clemente, Calif./Dave Potts, Los Angeles/Bob Johnson, El Cajon, Calif., Honda CRF450X (2), 160; 2. 602x Oscar Ochoa, Tijuana, Mexico/Gilberto Gallardo, Chula Vista, Calif./Hector Castillo, Mexicali, Mexico/Jaime de la Torre, Tijuana, Mexico/Cesar Parra, Tijuana, Mexico/Alex Melero, Tecate, Mexico, KTM 450XCF, 148. PRO QUAD—1. (TIE) 15a Juan Sanchez, Chula Vista, Calif./Francisco Corona, San Diego/Edgar Moreno, Honda TRX450R (1) and 1a Said Sanchez, Tijuana, Mexico/Jose Meza, San Felipe, Mexico/Javier Robles Jr, Mexicali, Mexico/Felipe Velez, San Felipe, Mexico, Honda TRX450R (1), 154. SPT QUAD—1. 110a Danny Magdalena, Acton, Calif./Jorge Lopez, San Felipe, Mexico/Eddie Bareno, Mexicali, Mexico/Ismael Cazarez, Mexicali, Mexico/Chris Avalos, Yuma, Ariz., Honda TRX450R (1), 163; 2. 129a Israel Jimenez, Tijuana, Mexico/Fernando Lopez, Tijuana, Mexico/Jesus Munga, Chula Vista, Calif./Daniel Salazar, Tijuana, Mexico/Miguel Olivas, Maneadero, Mexico/Jesus Lopez, Chula Vista, Calif., Honda TRX450R, 146; 3. 103a Oskar Espinosa, Ensenada, Mexico/Marcos Cousino, Ensenada, Mexico/Hector Orozco, Ensenada, Mexico/Jorge Recio, Ensenada, Mexico/Osman Arce, Ensenada, Mexico,Honda TRX450R (1), 92. SPT MOTO—1. (TIE) 284x Shane Schorno, Discovery Bay, Calif./Don Crane, Brentwood, Calif./Nick Vasquez/Nick Robertson/Steve Herstad, KTM 500EXCF and 238x Rolando Cabrera, Ramona, Calif./Giovani Solorio, Ensenada, Mexico/Hector Gutierrez, Tecate, Mexico/Gerardo Cabrera, Ramona, Calif., Honda CRF450X, 175; 3. Carlos Silva, Mexicali, Mexico/Oswaldo Moncada, Ensenada, Mexico/Joe Leal, Mexicali, Mexico/Hector Cardenas, Ensenada, Mexico/Raul Ortega Jr, Ensenada, Mexico/Carlos Silva Jr, Mexicali, Mexico, Honda CRF450X (1), 170; 4. (TIE) 200x Miguel Pena, Tijuana, Mexico/Jorge Carbajal C., Tijuana, Mexico/Jorge Carbajal A., Tijuana, Mexico/Jose Aguirre, Tijuana, Mexico/Javier Salazar/Gill Quidera/Alejandro Carrillo, KTM 450EXC and 201x R. Hank Salyer, Steamboat Springs, Colo./Scott Borden, Steamboat Springs, Colo./Cassey O’Donnell, Steamboat Springs, Colo./Josh Scott, Colorado Springs, Colo., Yamaha YZ450F, 161; ALSO: 12. 255x Alvaro Bello, Spring Valley, Calif./Manuel Gomez, Tecate, Calif./Humberto Valle, Tecate, Calif./Jorge Garcia, Tecate, Calif./Christian Salinas, Tecate, Calif., Kawasaki KXF450 (1), 90.